The Woman Who Stood with Job. We’ve all learned the story of long-suffering Job, but what about his wife? 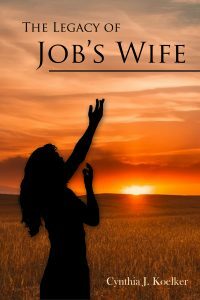 The Legacy of Job’s Wife: A Story of Love and Forgiveness tells the story from her point of view. Job loved his wife from the time she was born and his love for her was steadfast throughout all of his tribulations. Perhaps unwittingly, this book shows us that the Job of this book loved his wife in the way that God apparently could not. Dr. Koelker’s book is beautiful and thoughtfully written and brings these Old Testament characters to life, but raises more questions than it answers. Any book that invites the reader to consider life’s biggest mysteries is well worth the read.